Applied Materials has nearly a decade long history of supporting APIE programs and events. This past year, they generously awarded a $30,000 grant to support our College Readiness program. Because Austin serves as Applied Materials’ volume manufacturing center, they invest in local education programs through Applied Materials Foundation grants, employee donation and matching as well as volunteering. By partnering with organizations like APIE, Applied Materials and its Foundation support students throughout their entire academic career, pre-K through high school graduation. Applied Materials recognizes that students from economically disadvantaged communities have limited access to high-quality education. APIE’s College Readiness program offers advising and tutoring to underserved high school seniors struggling to meet college readiness standards. With Applied Materials’ help, we provide Austin ISD students a better chance at succeeding in college and launching a successful career. Students who graduate from high school meeting college readiness standards, experience higher self-confidence and are more likely to complete their degree. These are especially significant accomplishments for our students, many of whom are first-generation college students. Applied Materials congratulates all students and teachers on another successful year, and encourages students to continue learning and exploring throughout the summer. 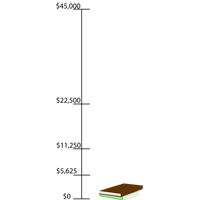 To join Applied Materials in supporting APIE programs, click here to donate. Karen Yokum, Electrical Engineer at IBM, has volunteered with APIE as an 8th Grade Math Classroom Coach for 3 years. 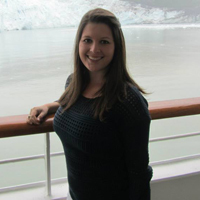 She has been influential in encouraging other IBM employees to become APIE volunteers and works to help students experience real world applications of their classroom studies. “My favorite part about volunteering each week is seeing the students. They are generally excited to see the volunteers when we enter the classroom each week. I love hearing about their days, and they love to hear about what we do at work each week.” Click here to read more about Karen and her experience with APIE. My favorite part about volunteering each week is seeing the students. They are generally excited to see the volunteers when we enter the classroom each week. I love hearing about their days, and they love to hear about what we do at work each week. Education is very important to both my life and career. I grew up in a family that emphasized education and learning something new every day. In high school, I started to figure out what classes sparked my interest. I learned that I was passionate about science and technology. I attended the University of Notre Dame where I was able to explore a wide array of classes that led me to pursue an Electrical Engineering degree. One of the most important things I learned throughout my educational career was how to problem solve. This is essential to my career at IBM. APIE would have greatly benefited me as a student. In middle school and high school I was scared to raise my hand to ask questions or go up to the board. Having the individualized positive attention would have encouraged me to ask questions in these small groups rather than relying on the “I’ll figure it out later” approach. My proudest moment as an APIE volunteer occurred at the end of the school year when we did the final review for the Math STAAR. At that point, I visibly noticed the strides the students made in both their confidence and math skills. The students were more outgoing, willing to ask questions, and confident in their ability to do well on the STAAR. If you could share one thing with 8th grade students as they enter high school, what would it be? Entering high school can be a scary endeavor, but embrace the challenge. Get involved, join clubs, and take electives that interest you. It is never too early to begin thinking about your future. Classes may seem more challenging than they were in middle school, but remember to take the time to understand the material and try your hardest to succeed! Other thoughts or stories to share? We have a bunch of volunteers at IBM who volunteer during their lunch hour on Wednesdays at Burnet Middle School and Thursdays at Webb Middle School. At the end of the school year, once the STAAR tests are completed, we like to plan a field trip for the classes we volunteer with to come to IBM and see what we are working on. We get to show the students our offices and labs, demonstrate interesting projects we are working on, and perform some cool liquid nitrogen science experiments. The students love to see where the volunteers work and what they do each day. 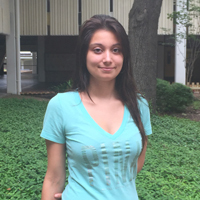 After graduation, she plans to attend Austin Community College to receive her associates and transfer to the University of Texas to study Mathematics. After college, her career dream is to become a CEO of a major gaming company. Congratulations, Prescilla. APIE wishes you the best of luck in all your future endeavors. Summer doesn’t mean APIE stops working! Whether you are striving towards a diploma or degree, just graduated, or long since tossed your mortarboard, everyone’s invited to join APIE staff members and volunteers next Thursday, June 11th for our first summer gathering at Unplugged at the Grove. We’ll meet at Shady Grove, 1624 Barton Springs Road, at 7:30pm and The Oh Hellos go on after 8pm. 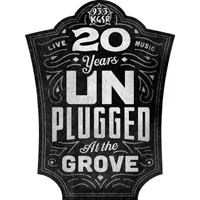 For more information email Anne or visit the Unplugged at the Grove webpage. School may be out, but our fiscal year just started June 1, 2015. Help APIE start the year off right. Send your gift by Friday, 12 for a chance to win Cap City Comedy Club tickets for two Wednesday – Thursday. Tickets expire Tuesday, June 30, 2015.